Of course, it is difficult to resist the beauty and sweetness of a tiny puppy, maybe just able to stand on the legs to eat. And, at that age, the puppy is really small since, usually, this happens around 30-35 days of life. But, although some unscrupulous sellers do, removing a puppy from his mother at that time is a very serious mistake. In fact, weaning does not mean that the puppy is ready for this separation. It is in fact between the fourth week and the end of the second month of life that the dog learns the most important things from the point of view of a character. Things that can determine the perfect or less cohabitation with his human master. In these months the puppy, for example, also learns the concept of limit. Important that, just to name one, with which he learns to adjust the strength and power of the bite. If the puppy bites one of his brothers, causing pain, the mother will intervene in a decisive way to make him understand that it’s not good. The puppy has thus, and only thus, the possibility of associating the pain with the bite and with the consequent scolding of the mother. The same thing happens with objects: it is during this period that the mother acts as a controller so that the puppy does not play in an excessive and harmful way with the objects. It is easy to understand, even from these two examples only, how important it is to determine the best age to take a puppy: never before it has been two months. 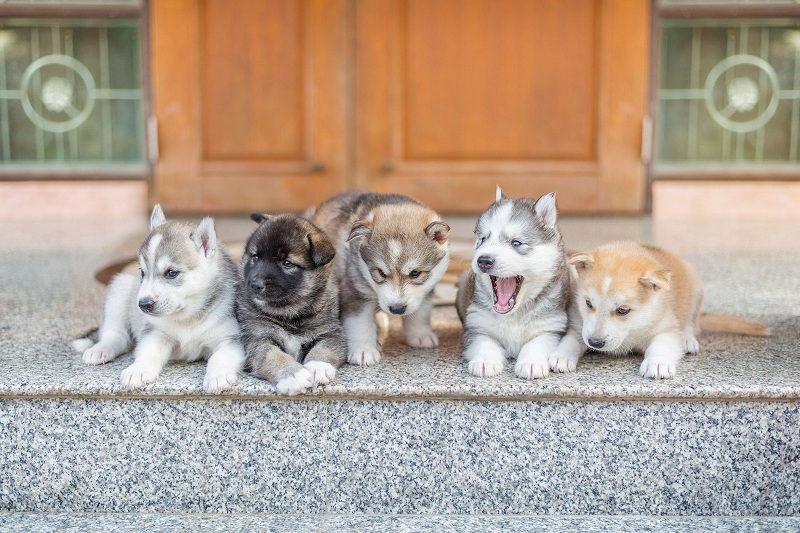 In addition to this behavioral ABC, letting the puppy stay with the mother and other siblings at least up to two months also means avoiding a series of problems related to the too early detachment. Among them the impossibility for the puppy to learn the very important concept of “safe distance” from things or people. This, which may seem unimportant, is instead an aspect that may have repercussions in terms of aggression or nervousness of the adult dog. If you want to take a hunting dog then, for example, removing it too soon from your mother can mean not giving him the opportunity to learn some hunting techniques and to see a predatory instinct weakened. Another problem is the fact that, deprived of the mother too early, the puppy does not develop in the best way the aspect related to socialization with other dogs. The cohabitation with the man, therefore, before the two months, can lead to behavioral misunderstandings related to the simple fact that dogs and men speak different languages. For some imprinting, the maternal presence is fundamental. Note: Never trust sellers or breeders who want to sell you a puppy under the age of two months. Previous Previous post: Spring is Coming!